Due to the dramatic requirements of 3D games and applications, graphics processing unit (GPU) or general-purpose graphics processing unit (GPGPU) have become required components in the modern computer systems. While these devices enable high parallelism with huge amount of processing elements, the utilization of their capabilities in general scientific applications are still low due to their difficult programming paradigms. Therefore an open standard, OpenCL, is proposed to provide universal APIs and programming paradigms for various GPUs and accelerators. 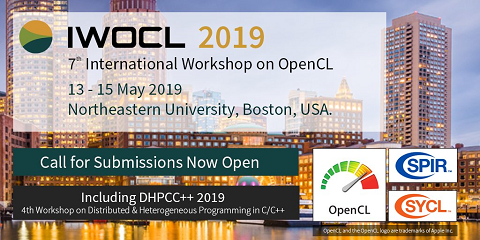 In this study, it adopts several benchmarks, with various computation characteristics, to demonstrate the capabilities of OpenCL with several platforms. These programs are parallelized by OpenMP and OpenCL, and then targeted on several GPUs and conventional servers. This paper also provides an example to illustrate the migration of the given program, from OpenMP to OpenCL. The presented experimental results show that these inexpensive GPUs will lead better performance than servers if adopt OpenCL paradigms. It will be the preliminary milestone of cheap supercomputing by the acceleration of GPUs that can be obtained ubiquitously.